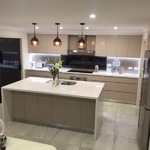 Installation for benchtops, including Caesar stone, Quantum Quartz, Laminated benchtops. 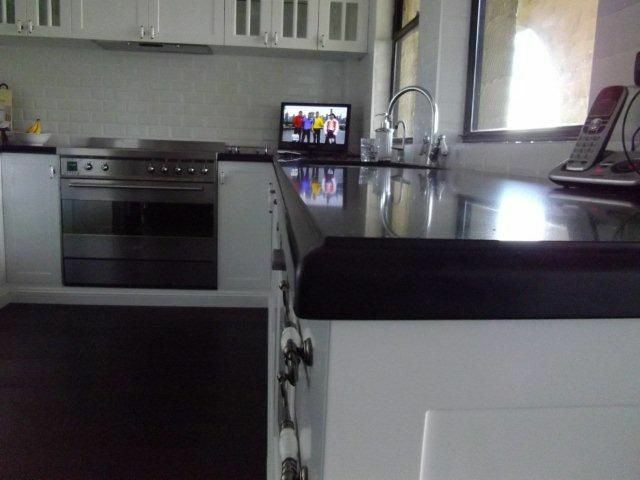 Custom made and installation for painted glass splashbacks. Updates to kitchen doors to keep your kitchen in the current trend. Door styles from Laminate to Painted Polyurthane, shaker panel doors. AND EVERY WHERE IN BETWEEN. We can also install flat packs that you have purchased from Bunnings, Masters or Ikea.